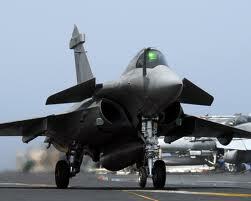 Finally, Indian has cleared name of French fighter plane Rafale for 126 fighter plane acquisition. Process to buy 126 new multi role fighter planes for Indian Air force was continuing behind the scene from last few years. There were many countries in this race to sell fighter planes to India because of large value of this deal and as per many estimates; this will be biggest deal in weapon industry so far. This deal is expected to cost India $12 to $15 billion. India chose France for this deal rejecting proposals from countries like USA and Russia. Rafale fighter planes are manufactured by French firm Dassault. Though, Indian government is still to sign official documents for the purchase of these planes which we can expect in near future. This deal is a great disappointment for major weapon partner of India Russia which was selling its new fighter plane MiG 35 to India. One of reason of success of Rafale against other bidder like Eurofighter is its much cheaper price and advance fighting features. Below find some of major features of Rafale. 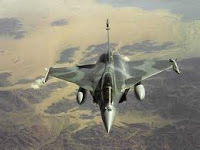 1) Rafale is a Twin Engine multiple role fighter Plane with new delta wings. 2) This plane is also called omnirole. 3) This plane is known for its innovative avionics and aerodynamics. 4) This plane can be operated from a ground base as well as from a carrier. 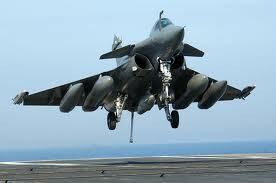 5) Rafale is powered with fly-by-wire (FBW) flight control system. 6) Prototype of Rafale first flow on 12 December 1991. 7) Rafale has both variants single seater and two seater. 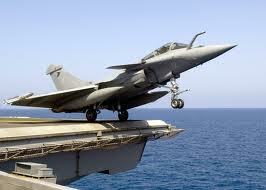 8) Rafale can operate from 400-metre (1,300 ft) runways. 9) Rafale plane can be termed as semi stealth fighter plane due to use of composite materials and advance design which decreases visibility of plane on radar system. 10) Rafale uses engine Snecma M88 which produces 50 kN (11,250 lbf) of dry thrust and 75 kN (16,900 lbf) with afterburners. 11) The length of this plane is 15.27 m (50.1 ft) , height is 5.34 m (17.5 ft) and wingspan of 10.80 m (35.4 ft).